A recent article in the Washington Post chronicles the columnist’s experiences as he researches and then undergoes total hip replacement surgery at the age of 45. The point is that hip replacement surgery isn’t just for older people anymore. The article details that the number of total and partial hip replacements performed each year has risen nearly 60 percent between 1998 and 2011. Within that group of people having the operation, the number of patients between the ages 45 and 65 has increased by nearly 20 percent, to account for just less than half of all hip replacement operations. By the numbers, nearly 500,000 patients are having a total or partial hip replacement each year. The reason given in the article for the increase in hip replacements is that younger, more active people are no longer willing to live with the pain and suffering of joint disease anymore and would rather have this relatively common operation and get back to their active lifestyle. While that is the good news, as your Boston hip replacement lawyer can explain, there is a corresponding number of patients that have experienced significant pain and suffering as a result of defectively dangerous artificial hips. Some patients were the victims of deceptive marketing and not given adequate warnings to allow them give an informed consent to the life-changing operation. 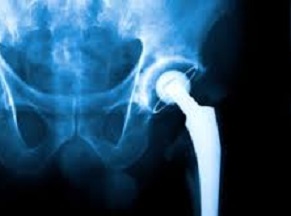 One major problem we have seen is involves the commonly used DePuy brand hip replacement. Two models of the artificial hip produced by this medical device manufacturer used a metal-on-metal joint and socket pieces, instead of the ceramic disk that is also commonly used. The metal-on-metal hip led to the discharge of metal shards, resulting in significant pain and suffering. The DePuy artificial hip has had higher rates of failure than other models and may lead to the need for a second hip replacement surgery to replace or correct the defective hip. If you have had hip replacement surgery and then required a second operation, you may have a case against the device manufacturer. This metal-on-metal hip was marketed to younger people who want to lead a more active lifestyle. The theory is the smooth surface lead to a glide with less friction that would allow for more physical activity. What makes the sale of these defective hips even more egregious is that it seems that the medical device companies knew or should have known that these specific failures were likely to occur, or, at the very least, there was a distinct possibility of failure, and they did not warn patients that this could happen. So the company marketed this product to younger patients who expected to return to an active lifestyle, yet they never disclosed the likelihood of a lifetime of mobility problems and the need for repeated surgeries. It should also be noted that the surgery to replace an artificial hip is often more painful and involves a lengthier recovery than the initial replacement. The reason for this is that the artificial hip is often anchored to the bones of the leg by the use of a large metal spike that is implanted into the bone lengthwise. The spike anchor must be removed during the operation. This kind of negligence is unacceptable. If you are a victim of it, you are entitled to compensation.